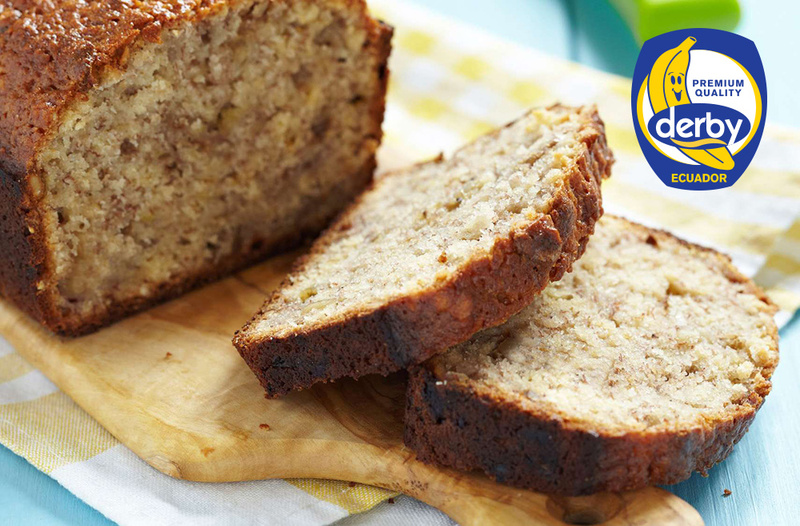 Bread with honey and bananas | DERBY® PREMIUM BANANAS RASTODER Company - DERBY bananas and other fresh FRUIT and VEGETABLED for you! The bread with honey and bananas, white or black it can’t be boring doing it, especially when the holidays are coming. We prefer do make this bread because it’s very easy to do, and your hosts will love it. Warm up the oven on 190 degrees. First you start to mix the sugar and the butter (the butter must be first a little bit melted), and add the eggs, flour and the baking powder. Finally, add the bananas and 2 tablespoons of liquid honey. If you like a sweeter cake, add 3 tablespoons of honey. Pour the mixture into a baking tray, previously greased or coated with baking paper, and bake for 40 to 45 minutes at 190 degrees. Let the bread to cool before servicing it.